WASHINGTON (Sputnik) — On Monday, the Kurdish flag was raised along with the Iraqi flag in Kirkuk. 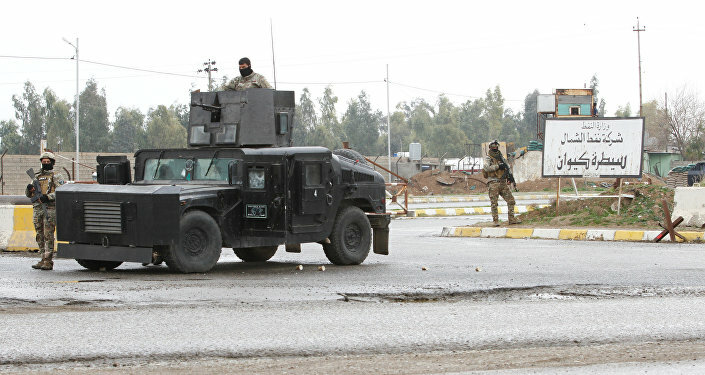 "The mission cautions against any unilateral steps that might jeopardize harmony and peaceful coexistence among many ethnic and religious groups that rightly call Kirkuk their home," the release stated. The UNAMI noted that the city of Kirkuk falls under the jurisdiction of the central government of Iraq, which prohibits raising of any other flag than the official state one. The Kirkuk province has one of the largest oil fields in Iraq. Kurdish forces have previously been in confrontation with the Iraqi government over ownership of energy resources.